A Non-constituency Member of Parliament (NCMP) is a member of a Singaporean opposition political party who, according to the Constitution and Parliamentary Elections Act, is declared to have been elected a Member of the Parliament of Singapore despite having lost in a general election by virtue of having been one of the best-performing losers. NCMPs enjoy most of the privileges of ordinary Members of Parliament. The NCMP scheme was introduced in 1984, and was a significant modification of the traditional Westminster system of government. 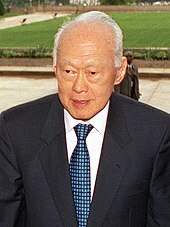 Since the ruling People's Action Party had won all parliamentary seats in the four general elections since independence, Prime Minister Lee Kuan Yew argued that the NCMP scheme would ensure that opposition voices would be heard in Parliament. According to him, this would be beneficial to Singapore as it would give the younger generation of Singaporeans a chance to see what an opposition can or cannot do. When the first constitutional amendment was made to initiate the NCMP scheme, between three and six NCMPs were allowed in Parliament. The Constitution was amended again in 2010 to allow for a maximum of nine NCMPs in Parliament. Since its inception, the scheme has been widely criticised. It has been considered undemocratic as it allows candidates who do not have the mandate of the people to air their views in Parliament. Furthermore, members of the opposition have criticized the scheme for creating an unequal playing field in a general election by enabling the ruling People's Action Party (PAP) to argue that the electorate need not vote for opposition candidates as there will already be some opposition representation in Parliament. Despite this critique, several opposition politicians have accepted NCMP seats, including Lee Siew-Choh, J. B. Jeyaretnam, Steve Chia and Sylvia Lim. NCMPs have raised notable points in Parliament with regards to various public policy issues such as criminal procedure, education, health and social welfare. The 2011 general election brought three NCMPs into Parliament: Lina Loh (the wife of Chiam See Tong, the former MP for Potong Pasir Single Member Constituency) of the Singapore People's Party, and Gerald Giam and Yee Jenn Jong of the Workers' Party of Singapore. The general election of 2015 brought in three different NCMPs into Parliament: Dennis Tan, Leon Perera and Daniel Goh. A NCMP seat was offered to former MP for Punggol East, Lee Li Lian but she declined and the seat was eventually accepted by Associate Professor Daniel Goh. A Non-constituency Member of Parliament ("NCMP") is a candidate of an opposition political party who, despite having lost in a general election, is declared elected as a Member of the Parliament of Singapore ("MP") by virtue of provisions in the Constitution and the Parliamentary Elections Act enabling the unsuccessful candidates who have performed the best to be accorded the status. The MP is so called because he or she does not represent any constituency (or electoral division) in Parliament. The NCMP scheme was introduced on 22 August 1984 by the Constitution of the Republic of Singapore (Amendment) Act 1984 and the Parliamentary Elections (Amendment) Act 1984. Under Article 39(1)(b) of the Constitution which was introduced by the constitutional amendment Act, the maximum number of NCMPs was set at six. However, the actual number that could be declared elected at any general election was fixed at three, less the total number of Opposition MPs elected to Parliament. The President, acting on the advice of the Cabinet, could order that between four and six NCMPs be declared elected for the purpose of a particular general election. Such an order ceased to have effect at the next dissolution of Parliament. On 1 July 2010, the need for a presidential order to increase the number of NCMPs was removed. Instead, the maximum number of NCMPs in Parliament was increased from six to nine, and the actual number that would be declared elected following a general election would be nine less the number of opposition MPs elected to Parliament. They must be Singapore citizens aged 21 or above. Their names must appear in a current register of electors. They must have been residents of Singapore for at least ten years. They must be able to speak, read and write in at least one of the four official languages (English, Malay, Mandarin and Tamil). They must not be disqualified under Article 45 of the Constitution. Workers' Party Secretary-General Low Thia Khiang at a rally at Serangoon Stadium during the 2011 general election. Low said he would not accept an NCMP seat if offered one. The situation did not arise as Low was re-elected to Aljunied GRC. The Constitution and the Parliamentary Elections Act provide for a minimum of nine opposition representatives in Parliament. After the polling results for a general election have been released, the opposition candidates receiving the highest percentage of votes in their electoral divisions but not elected into Parliament will be offered NCMP seats. However, this is subject to several conditions. There must be less than nine opposition members voted into Parliament, and the candidate must have garnered at least 15% of the total number of votes polled at the election in the electoral division he or she contested in. In addition, there can be no more than two NCMPs from one Group Representation Constituency ("GRC") and no more than one NCMP from an electoral division that is not a GRC. If the number of opposition candidates elected is less than nine, losing opposition candidates who have the highest percentage of votes during the election will be declared elected as NCMPs to make up the minimum number of opposition MPs. Hence, the number of NCMP seats offered is nine minus the number of elected opposition MPs. In the event that a group of candidates contesting in a GRC is offered an NCMP seat, the group must decide within seven days the person or persons to be declared elected as NCMPs and notify the returning officer. Once an NCMP has been declared elected, he or she must take an oath of allegiance to Singapore and to "preserve, protect and defend the Constitution of the Republic of Singapore". If this is not done at the first or second sitting of Parliament during its first session after the general election, Parliament may by resolution declare that the NCMP's seat has become vacant and that it will be filled by the next succeeding eligible candidate at the general elections, the candidates having priority based on the percentage of votes polled by them. Opposition members who qualify to become NCMPs are allowed to reject their seats in Parliament. During the 2011 general election, several opposition leaders stated that they would not want to accept NCMP seats. Among them was Low Thia Kiang, the Secretary-General of the Workers' Party of Singapore ("WP"). Any motion pertaining to a Bill to amend a money bill. A motion of no confidence in the Government. Removal of the President from office. Prime Minister Lee Hsien Loong announced on 27 January 2016 that NCMPs would get equal voting rights as MPs and the exceptions will be removed. The minimum number of opposition MPs will also be increased from nine to twelve from the next election. This was passed by parliament on 9 November 2016, in the same constitutional amendment as that which introduced the hiatus-triggered reserved presidential election. During the Second Reading of the NCMP bill, the Prime Minister Lee Kuan Yew presented to Parliament three main justifications for the NCMP scheme. First, he said that having a minimum number of opposition members in Parliament through the NCMP scheme would provide younger People's Action Party ("PAP") MPs with sparring partners to "sharpen their debating skills". Secondly, the presence of opposition members in Parliament would educate the younger generation of voters about the role of a constitutional opposition and the limits of what it can do. He said this was especially important because the younger generation who had not lived and witnessed the conflicts within Parliament in the 1950s and 1960s "harbour[ed] myths about the role of an Opposition" and "had no idea how destructive an Opposition could be". Thirdly, the presence of non-PAP MPs in Parliament would act as a check and balance against any governmental impropriety. According to Lee, "some non-PAP MPs will ensure that every suspicion, every rumour of misconduct, will be reported to the non-PAP MPs". The readiness of non-PAP members to bring forth any allegation of misfeasance, or corruption, or nepotism would "dispel suspicions of cover-ups of alleged wrongdoings". More importantly, the NCMP scheme was introduced to "ensure the representation in Parliament of a minimum number of Members from a political party or parties not forming the Government". The PAP possessed "unbroken hegemony" in Parliament from 1968 until 1981 when J. B. Jeyaretnam won a seat in the Anson by-election. As a result of his sole opposition presence in the Parliament, he could not initiate a meaningful debate in Parliament, being unable to find another MP to second his motions. The fact that there was absolutely no opposition representation in Parliament in the four general elections before 1984 (as indicated in the table below) added to the impetus for the inception of the scheme. [P]eople who are proposed to be NCMPs are politicians who stood for an election and lost. Sir, they lost. They lost. I do not know how much more emphatic I can be about this. These are politicians who have stood on certain political platforms, for certain political issues and the majority of the electorate have considered these issues, these politicians and have rejected them at the polls. To then allow them into Parliament flies in the face of the logic of a democratic election at best and, at worst, is a slap in the face to the people who have voted against them. The opposition has, from the introduction of the NCMP scheme, decried it as a "sham" and a "toothless" office. Opposition member J. B. Jeyaratnam questioned whether it was "a trick or a ploy" by the ruling party to maintain its dominance in Parliament. It has been argued that the system has placed the opposition at a disadvantage at general elections for a number of reasons. For one, there are restrictions on NCMPs as to what they can or cannot vote on in Parliament. Thus, it has been suggested that the presence of NCMPs in Parliament "does not seem to extend beyond the decorative and the provision of debating foils for the younger PAP generation unexposed to the gladiatorial quality of parliamentary debate". Moreover, the effectiveness of the NCMP scheme is limited by the perception that the NCMP is obliged to be adversarial by virtue of being party to the opposition. This is so even if privately the Member can apprehend the benefits of a Government proposal. Finally, the NCMP scheme has been criticized as a ploy to discourage voters from voting in opposition MPs because of the guarantee of at least a number of NCMP seats. This inhibits the natural growth of an elected opposition voice in Parliament as the electorate's motivation to vote in an opposition Member into Parliament is conceivably diluted by the assurance that a default mechanism exists for the "best losers". Opposition MP Low Thia Khiang has cited an NCMP's lack of "muscle and real grassroot[s] grounding" as a reason for his refusal to take up an NCMP seat. NCMPs do not represent any constituency and are thus denied of opportunities to expand their influence. During the 2010 debates, Sylvia Lim, then the sole NCMP in Parliament, commented that having NCMPs "make[s] a bad situation better, but increasing NCMPs is not the solution towards a more robust political system". She identified an NCMP's lack of any official capacity to represent the people or write letters on their behalf as a drawback of the scheme. Moreover, an NCMP has no physical base to organize activities or dialogues with the people. In her view, it would be better for politics in Singapore if the NCMP scheme was regarded merely as a "stop-gap measure" to deal with the lack of alternative voices in Parliament as a result of the ruling party's alleged abuse of the GRC system and gerrymandering. In 2011 during a live television forum, Prime Minister Lee Hsien Loong refuted claims that NCMPs were not a "real opposition" by stating that the PAP had introduced and expanded the scheme "because it acknowledged both the desire among Singaporeans for alternative voices and the need for an opposition to represent the diverse views in society". He noted that NCMPs were free to debate issues in Parliament, and that the scheme provided opposition politicians with an opportunity to "establish themselves and strengthen their positions in subsequent general elections". The Workers' Party's Gerald Giam at a rally in Bedok Stadium during the 2011 general election. Giam was appointed an NCMP with effect from 16 May 2011. In the 1984 general election, the first held after the NCMP scheme was introduced, as the opposition MPs J. B. Jeyaretnam of the WP and Chiam See Tong of the Singapore Democratic Party were elected to Parliament, the single NCMP seat available was allocated to the WP's M. D. P. Nair. However, the WP decided that its defeated candidates should not take up NCMP seats. Jeyaretnam, the WP's Secretary-General, said that the "real object" behind the scheme was to persuade the electorate to return the PAP to all the seats in Parliament, which was "the antithesis of what Parliament is". The NCMP seat was then allocated to Tan Chee Kien of the Singapore United Front, but his party also decided to reject the seat. This was regarded as a "resignation", and the NCMP seat was thus not filled. The first NCMP to take up a seat in Parliament, Dr. Lee Siew-Choh of the WP, did so following the 1988 general election at which Chiam See Tong was the only opposition MP elected. The WP's Lee and Francis Seow were declared elected as NCMPs on 16 December 1988. However, on 9 January 1989 the Speaker of Parliament Tan Soo Khoon announced that Seow had lost his seat with effect from 17 December 1988 under Article 45 of the Constitution after he was convicted and fined for tax evasion. In the general election that followed in 1991, no NCMP seats were offered because four opposition members were successful in their respective electoral divisions, and thus the number of opposition MPs exceeded the three allotted NCMP seats. In the 1997 general election, one NCMP seat was offered to, and accepted by, J. B. Jeyaratnam. He was declared elected with effect from 14 January 1997. Subsequently, with effect from 23 July 2001, Jeyaretnam fell into bankruptcy due to an unpaid debt and thus lost his seat in Parliament. The general election that year saw one NCMP seat occupied by Steve Chia of the Singapore Democratic Alliance. In the 2006 general election, Sylvia Lim, Chairman of the Workers' Party, garnered 43.9% of the votes in Aljunied GRC, making her the "best loser" of the election. She was subsequently declared elected as the next NCMP in Parliament on 12 May 2006. Following the increase in the number of NCMP seats in Parliament to nine in 2010, since the Workers' Party garnered six seats at the 2011 general election, three NCMP seats were offered. They were taken up by Lina Loh from the Singapore People's Party who contested in Potong Pasir Single Member Constituency (SMC), and Yee Jenn Jong and Gerald Giam of the Workers' Party who contested in Joo Chiat SMC and East Coast GRC respectively. The names in bold are the individuals' surnames. NCMPs have raised and debated in Parliament a wide range of issues. What follows are some of the more notable issues mentioned. Steve Chia at the Singapore Democratic Alliance rally in Choa Chu Kang Park during the hustings for the 2006 general election. An NCMP from 2001, he did not do well enough at the polls to be elected to Parliament or remain an NCMP. In November 2002, NCMP Steve Chia supported a motion by the Minister for Education stating that "this House ... (1) supports the new JC [junior college] curriculum which will better develop thinking, communication and other process skills and engage students in greater breadth of learning; and (2) endorses greater diversity and opening of new pathways in JC/Upper Secondary education to cater to the different strengths and interests of students." He suggested that there should be a focus on "creative spontaneity", expressing the view that the education system in 2002 was one that focused on churning out a production line of workers, managers and instruction takers. Given that Singapore had reached the standards of a First World economy, Singapore should focus on instilling an inquisitive spirit within students, to encourage students to ask questions. He placed most emphasis on the importance of ensuring that the focus of education should be character building, stating: "It will be failure of our education system if we are to train our best and brightest with our best resources only to be told that they are going to be the quitters of our society; or that they lack the compassion for the weak and the down; or that they behave in a snobbish class of their own; or behave condescendingly to their peers and followers; or that the elites only care about their own self-interests." In 2003, Chia mooted the idea that Singaporeans should be able to borrow from their own Central Provident Fund (CPF) savings to tide over periods of financial difficulty. His rationale was that if individuals could borrow from their own CPF accounts to buy depreciating property and money-losing stocks, there was no reason why they should not be allowed to do so to pay for bills. Dr. Ong Seh Hong, MP for Aljunied GRC, opposed the view, stating that it was important and for the good of Singapore that Singaporeans were independent individuals who could assume the risks and successes of their investments and be self-sufficient. With the advent of the Integrated Resorts, which are casino-based vacation resorts, in 2005 Chia expressed concern in Parliament over whether the Government had systems and institutions in place to lessen their negative impact such as problem gambling and the spectre of people gambling away family assets. Sylvia Lim was an NCMP from 2006 till Parliament was dissolved in 2011 for the general election held that year, at which she was elected as one of the MPs for Aljunied GRC. While she was an NCMP, Parliament debated the Human Organ Transplant (Amendment) Bill 2009 which would permit an organ donor to receive a reasonable amount of payment as a reimbursement for medical checks, insurance and other medical expenses, and loss of income. Lim spoke of her worry that the bill might lead to a backdoor organ trading and profiteering. In 2010, Lim mooted the idea that the proportion of each Primary 1 cohort that would be seeking a university education should be increased beyond the 30% by 2015 that the Government was planning. She noted that in Organisation for Economic Co-operation and Development countries in 2006 about 37% of each age cohort received a degree-level education, and that a sizeable number of Singaporean students who failed to gain entry into local universities had done well in reputable universities overseas. She also suggested giving concessionary fares to disabled individuals who make up 2% of the adult population under 60 years. Lim expressed concerns about a proposed constitutional amendment introduced in April 2010 that would allow magistrates to hear what are called "first mentions" through video conferencing. A first mention is a hearing that must be held within 48 hours of a person's arrest. She felt it failed to adequately assure accused people that they were allowed to complain to magistrates about injuries they had sustained or acts of misfeasance against them by the authorities. In response, Deputy Prime Minister and Minister for Home Affairs Wong Kan Seng assured MPs that processes would be in place to ensure that accused people are treated fairly. For example, during a video conference, an accused person will be alone in a room with no police officer, and will be able to see what is happening in the entire courtroom. Secondly, the screen that will be used by the judge is large enough to enable him or her to clearly see whether the accused is under duress. Finally, accused people who have been mistreated can either complain to the police or to the judge when they are later present in court. The following month, during parliamentary debates on major revisions to the Criminal Procedure Code, Lim suggested there was a need to improve pre-trial disclosure procedures and to ensure that victims of crimes received redress. Further, she expressed concerns over the leniency of community-based sentencing. The bill eventually incorporated several of her suggestions. In 2011, Lim noted that the Compulsory Education Act ensures that all children have the opportunity to receive an education. However, she expressed concern that processes for entry to schools for children with special needs were cumbersome. Furthermore, education for children with special needs was not subject to the same subsidies that students in mainstream schools had. She thus brought to the House's attention the fact that special needs children might have been unintentionally marginalized. These concerns were supported by Penny Low, MP for Pasir Ris–Punggol GRC. ^ Constitution of the Republic of Singapore (1985 Rev. Ed., 1999 Reprint). ^ a b Parliamentary Elections Act (Cap. 218, 2011 Rev. Ed.) ("PEA"). ^ Kevin Y[ew] L[ee] Tan; Thio Li-ann (2010), "The Legislature", Constitutional Law in Malaysia and Singapore (3rd ed. ), Singapore: LexisNexis, pp. 299–360 at 309, ISBN 978-981-236-795-2, Non-Constituency MPs ... are appointed from among the losing Opposition candidates who polled the highest votes and they do not serve any constituency (as the name implies). ^ Constitution of the Republic of Singapore (Amendment) Act 1984 (No. 16 of 1984), in force on 10 August 1984. ^ Parliamentary Elections (Amendment) Act 1984 (No. 22 of 1984), in force on 22 August 1984. ^ Parliamentary Elections Act (Cap. 218 , 2007 Rev. Ed.) ("PEA (2007 Rev. Ed. )"), s. 52(1). ^ PEA (2007 Rev. Ed. ), ss. 52(1) and (1A); Pang Gek Choo (4 January 1997), "Non-constituency MP scheme – mere trickery or genuine offer", The Straits Times, p. 35 . ^ By the Constitution of the Republic of Singapore (Amendment) Act 2010 (No. 9 of 2010) and the Parliamentary Elections (Amendment) Act 2010 (No. 16 of 2010), both in force on 1 July 2010. ^ Chua Lee Hoong (22 April 2011), "Some ministers had 'qualms' about more NCMPs", The Straits Times (reproduced on the website of the Prime Minister's Office), archived from the original on 28 October 2012 . ^ a b c PEA, s. 52(1). ^ Tey Tsun Hang (December 2008), "Singapore's Electoral System: Government by the People? ", Legal Studies, 28 (4): 610–628 at 612, doi:10.1111/j.1748-121X.2008.00106.x . ^ Singapore Constitution, Art. 44. ^ For the disqualifications set out in Art. 45 of the Constitution, see "Parliament of Singapore – Qualifications". ^ Singapore Constitution, Art. 61 and the 1st Schedule, Form 3. ^ PEA, ss. 53(1) and (2). ^ Zakir Hussain (12 April 2011), "NCMP seats: Opposition candidates divided on issue", The Straits Times . ^ a b Teo Xuanwei (24 March 2011), "Low Thia Kiang: No NCMP seat for me", Today . ^ The term money bill is defined in Art. 68 of the Constitution, and in general refers to a bill containing only provisions dealing with financial matters such as regulating taxation and dealing with public money. ^ Lee, Min Kok (27 January 2016). "PM Lee Hsien Loong: NCMPs to get equal voting rights as MPs; opposition MPs to increase from 9 to 12 next GE". The Straits Times. Retrieved 11 January 2017. ^ Lee Kuan Yew, Goh Chok Tong appointed Senior Advisors, AsiaOne, 18 May 2011, retrieved 28 October 2012 . ^ Lee Kuan Yew (Prime Minister), speech during the Second Reading of the Constitution of the Republic of Singapore (Amendment) Bill, Singapore Parliamentary Debates, Official Report (24 July 1984), vol. 44, cols. 1724–1726. ^ Lee, speech during the Second Reading of the Constitution of Republic of Singapore (Amendment) Bill, Singapore Parliamentary Debates, Official Report (24 July 1984), col. 1726. ^ a b "Lee warns voters against swing to the opposition", Financial Times, p. 1, 24 December 1984 , cited in Tey, p. 614, n. 22. ^ 1968 parliamentary election results, Elections Department, 7 June 2012, retrieved 28 October 2012 . ^ 1972 parliamentary election results, Elections Department, 7 June 2012, retrieved 28 October 2012 . ^ 1976 parliamentary election results, Elections Department, 7 June 2012, retrieved 28 October 2012 . ^ 1980 parliamentary election results, Elections Department, 7 June 2012, retrieved 28 October 2012 . ^ Alvin Yeo (Hong Kah GRC), speech during the Second Reading of the Constitution of the Republic of Singapore (Amendment) Bill, Singapore Parliamentary Debates, Official Report (26 April 2010), vol. 87, col. 53ff. ^ Calvin Cheng (NMP), speech during the Second Reading of the Parliamentary Elections (Amendment) Bill, Singapore Parliamentary Debates, Official Report (27 April 2010), vol. 87, cols. 307–310; see also "NMP vs Minister, NCMP", The Straits Times (reproduced on the AsiaOne website), 28 April 2010 . ^ J. B. Jeyaretnam (Anson SMC), speech during the Second Reading of the Constitution of the Republic of Singapore (Amendment) Bill, Singapore Parliamentary Debates, Official Report (24 July 1989), vol. 44, cols. 1754 and 1757–1758. ^ Thio Li-ann (1993), "The Post-colonial Constitutional Evolution of the Singapore Legislature: A Case Study", Singapore Journal of Legal Studies: 80–122 at 98–99, SSRN 965257 . ^ Tey Tsun Hang, p. 615. ^ Thio, "The Post-colonial Constitutional Evolution of the Singapore Legislature", p. 98. ^ a b Sylvia Lim (NCMP), speech during the Second Reading of the Constitution of the Republic of Singapore (Amendment) Bill, Singapore Parliamentary Debates, Official Report (26 April 2010), vol. 87, col. 53ff. ^ See also Imelda Saad (26 April 2010), Parliament amends Constitution to change NCMP & NMP schemes, Channel NewsAsia, archived from the original on 29 April 2010 . ^ Elgin Teo (13 April 2011), "NCMPs add to voices in Parliament, says PM", The Straits Times . ^ "Non-constituency MP: Nair elected", The Straits Times, p. 1, 25 December 1984 . ^ Ahmad Osman (5 January 1985), "WP says 'no' to non-elected seat offer: SUF and Barisan show interest", The Straits Times, p. 1 . ^ Low Mei Mei (12 March 1985), "SUF chairman rejects offer of seat", The Straits Times, p. 36 ; "SUF sends letter rejecting seat", The Straits Times, p. 11, 17 March 1985 . ^ "Non-elected MP seat not taken up", The Straits Times, p. 12, 15 May 1985 . ^ Tan Tarn How (18 September 1988), "How the non-constituency MP scheme can cut both ways", The Straits Times, p. 22 . ^ Tan Soo Khoon (Speaker), "Mr Francis Seow Tiang Siew (Disqualification as Non-Constituency Member) (Announcement by Mr Speaker)", Singapore Parliamentary Debates, Official Report (9 January 1989), vol. 52, cols. 10–11; "Francis Seow found guilty of tax charges", The Sunday Times, Singapore, p. 22, 28 October 1991 . ^ "Some surprise faces among top losers in opposition camp", The Sunday Times, Singapore, 1 September 1991, Aside from Mr Chiam See Tong and the surprise three other opposition candidates who won seats in Parliament, the five top losers among the opposition were all also unexpected faces. None of them will however be appointed Non-Constituency MPs as current election laws provide for their appointment only if fewer than four opposition members are elected outright into Parliament. ^ "Jeyaretnam says 'yes' to offer of NCMP seat", The Straits Times, p. 3, 11 January 1997 . ^ "WP's leader Jeya declared NCMP", The Straits Times, p. 2, 16 January 1997, Workers' Party secretary-general J. B. Jeyaretnam has been declared a Non-Constituency Member of Parliament (NCMP) officially. A Government extraordinary gazette on Tuesday night, signed by Returning Officer Tan Boon Huat, declared him an NCMP. ^ Tan Soo Khoon (Speaker), "Seat of Non-constituency Member of Parliament Mr J B Jeyaretnam (Announcement by Mr Speaker)", Singapore Parliamentary Debates, Official Report (25 July 2011), vol. 73, cols. 1822–1823; "Jeya loses NCMP seat, Speaker declares", The Straits Times, p. 4, 26 July 2001 . ^ G. Sivakkumaran (6 November 2001), "Steve Chia ready to be NCMP", The Straits Times, p. 6 . ^ Singapore's Workers' Party names chairman Sylvia Lim as next NCMP, Channel NewsAsia, 9 May 2006, archived from the original on 29 June 2011 ; Returning Officer names WP Chairman Sylvia Lim as Non-Constituency MP, Channel NewsAsia, 13 May 2006, The Returning Officer for the recent General Election, Mr Tan Boon Huat has declared Workers' Party Chairman, Sylvia Lim as the candidate elected to be the Non-Constituency MP or NCMP. The declaration was made in a Government Gazette announcement on Friday. ^ "Opposition trio named as NCMPs", The Straits Times, 17 May 2011 ; S. Ramesh (17 May 2011), "Three NCMP candidates formally named", Today, p. 10, archived from the original on 19 May 2011 . ^ Steve Chia (NCMP), "Junior College/Upper Secondary Education", Singapore Parliamentary Debates, Official Report (27 November 2002), vol. 75, col. 1835–1840. ^ Chia, "Junior College/Upper Secondary education", Singapore Parliamentary Debates, Official Report (27 November 2002), col. 1840. ^ Steve Chia (NCMP), "Annual Budget Statement", Singapore Parliamentary Debates, Official Report (11 March 2003), vol. 76, cols. 343–344. ^ Ong Seh Hong (Aljunied GRC), "Annual Budget Statement", Singapore Parliamentary Debates, Official Report (11 March 2003), vol. 76, cols. 361–362. ^ Steve Chia (NCMP), "Proposal to Develop Integrated Resorts", Singapore Parliamentary Debates, Official Report (20 April 2005), vol. 83, col. 399. ^ Sylvia Lim (NCMP), speech during the Second Reading of the Human Organ Transplant (Amendment) Bill, Singapore Parliamentary Debates, Official Report (24 March 2009), vol. 85, col. 3524ff. ^ Sylvia Lim (NCMP), "Head K – Ministry of Education", Singapore Parliamentary Debates, Official Report (10 March 2010), vol. 86, col. 3709ff. ^ Sylvia Lim (NCMP), "Head W – Ministry of Transport", Singapore Parliamentary Debates, Official Report (11 March 2010), vol. 86, col. 3978ff. ^ Eventually enacted as the Constitution of the Republic of Singapore (Amendment) Act 2010 (No. 9 of 2010). ^ The Singapore Constitution, Art. 9(4), now states: "Where a person is arrested and not released, he shall, without unreasonable delay, and in any case within 48 hours (excluding the time of any necessary journey), be produced before a Magistrate, in person or by way of video-conferencing link (or other similar technology) in accordance with law, and shall not be further detained in custody without the Magistrate's authority." Prior to 26 April 2010, the reference to video conferencing was not present in the provision. See also the Criminal Procedure Code (Cap. 68, 2012 Rev. Ed. ), s. 68: "(1) No police officer shall detain in custody a person who has been arrested without a warrant for a longer period than under all the circumstances of the case is reasonable. (2) Such period shall not exceed 48 hours exclusive of the time necessary for the journey from the place of arrest to the Magistrate's Court." ^ Sylvia Lim (NCMP), speech during the Second Reading of the Constitution of the Republic of Singapore (Amendment) Bill, Singapore Parliamentary Debates, Official Report (26 April 2010), vol. 87, cols. 53ff. ^ Wong Kan Seng (Deputy Prime Minister and Minister for Home Affairs), speech during the Second Reading of the Constitution of the Republic of Singapore (Amendment) Bill, Singapore Parliamentary Debates, Official Report (26 April 2010), vol. 87, cols. 53ff. ^ Enacted as the Criminal Procedure Code 2010 (No. 15 of 2010) (now Cap. 68, 2012 Rev. Ed.). ^ Sylvia Lim (NCMP), "Criminal Procedure Code", Singapore Parliamentary Debates, Official Report (18 May 2010), vol. 87, col. 407ff. ^ K. Shanmugam (Minister for Law), speech during the Second Reading of the Criminal Procedure Code Bill, Singapore Parliamentary Debates, Official Report (19 May 2010), vol. 87, cols. 487–488. ^ Compulsory Education Act (Cap. 51, 2001 Rev. Ed.). ^ Sylvia Lim (NCMP), "Head K – Ministry of Education", Singapore Parliamentary Debates, Official Report (7 March 2011), vol. 87, no column numbers assigned yet. ^ Penny Low (Pasir Ris–Punggol GRC), "Head K – Ministry of Education", Singapore Parliamentary Debates, Official Report (7 March 2011), vol. 87, no column numbers assigned yet. Parliamentary Elections Act (Cap. 218, 2011 Rev. Ed.) ("PEA"). Tey, Tsun Hang (December 2008), "Singapore's Electoral System: Government by the People? ", Legal Studies, 28 (4): 610–628, doi:10.1111/j.1748-121X.2008.00106.x . Thio, Li-ann (1993), "The Post-colonial Constitutional Evolution of the Singapore Legislature: A Case Study", Singapore Journal of Legal Studies: 80–122, SSRN 965257 . Tan, Eugene; Chan, Gary (13 April 2009), "The Legislature", The Singapore Legal System, SingaporeLaw.sg, Singapore Academy of Law, archived from the original on 2 December 2010, retrieved 1 December 2010 . Tan, Kevin Yew Lee (1992), "Constitutional Implications of the 1991 Singapore General Election", Singapore Law Review, 13: 26–59 . Thio, Li-ann (2002), "The Right to Political Participation in Singapore: Tailor-making a Westminster-modelled Constitution to Fit the Imperatives of Asian Democracy", Singapore Journal of International and Comparative Law, 6: 181–243 . Winslow, Valentine S. (1984), "Creating a Utopian Parliament: The Constitution of the Republic of Singapore (Amendment) Act 1984; the Parliamentary Elections (Amendment) Act 1984", Malaya Law Review, 28: 268–274 . Tan, Kevin Y[ew] L[ee] (2011), "Making Law: Parliament", An Introduction to Singapore's Constitution (rev. ed. ), Singapore: Talisman Publishing, pp. 33–60, ISBN 978-981-08-6456-9 . Tan, Kevin Y[ew] L[ee]; Thio, Li-ann (2010), "The Legislature", Constitutional Law in Malaysia and Singapore (3rd ed. ), Singapore: LexisNexis, pp. 299–360, ISBN 978-981-236-795-2 . Thio, Li-ann (1995), "Government and the State", ASEAN Legal Systems (PDF), Singapore: Butterworths Asia for the ASEAN Law Association, ISBN 978-0-409-99802-3, archived from the original (PDF) on 4 December 2009 . Thio, Li-ann (2012), "The Legislature and the Electoral System", A Treatise on Singapore Constitutional Law, Singapore: Academy Publishing, pp. 285–359 at 304–308, ISBN 978-981-07-1515-1 .